I bring news of skins, achievements, and music! Let’s get on with it. When most players begin their Minecraft adventure there aren’t many looks to choose from. In fact, you only get to play as our blue-shirted friend. Now, everyone loves Steve - he’s probably the most famous minecrafter in the world, and has excellent stubble. But jolly old Steve doesn’t really represent the diversity of our playerbase. For that reason, we’re giving all players opportunity to play with an Alex skin instead. She brings thinner arms, redder hair, and a ponytail; she actually looks a bit like Jens from certain angles. 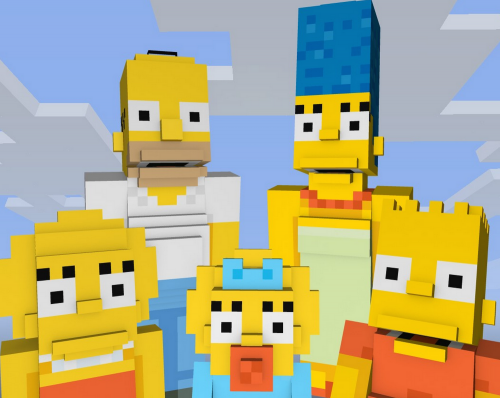 The Simpsons skin pack is already available on Microsoft consoles. Achievements - some love ‘em, some are indifferent to them, some don’t even know they exist. I know Marc is really, really into them them; take from that what you will. 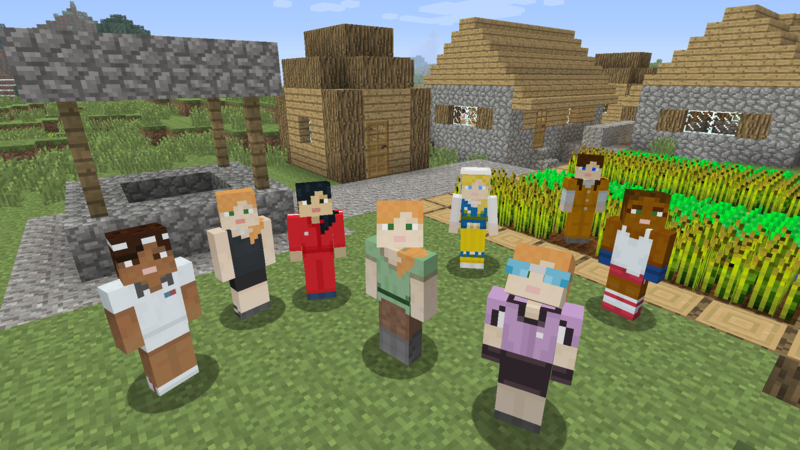 Until now, Minecraft: Xbox One Edition has included more achevements than 360 Edition. That’s a bit silly when you think about it. This update will add 30 new achievements to the Xbox 360 version of Minecraft, boosting the potential gains to a smooth 1000 gamerscore. Hunt them down but don’t let them rule your playtime. And don’t forget to eat or go to the toilet. That’s it for now! Have a great week and thanks for playing Minecraft, y’all.